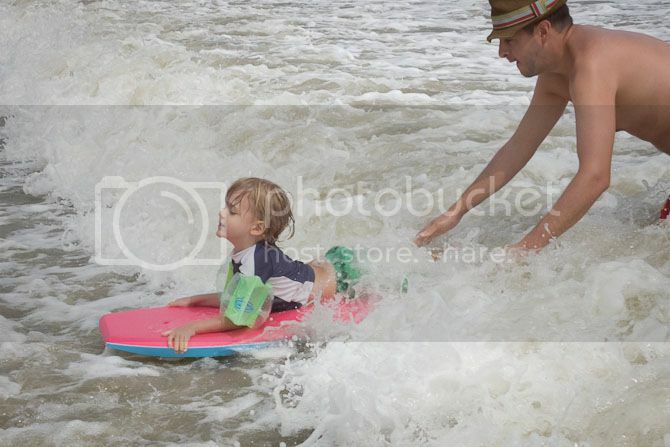 One of the big changes with the boys this year--they were able to play a little more actively in the ocean! And they loved it. Braden has no fear, and Finley became a competent enough swimmer that the water didn't make him nervous. His newest skill? 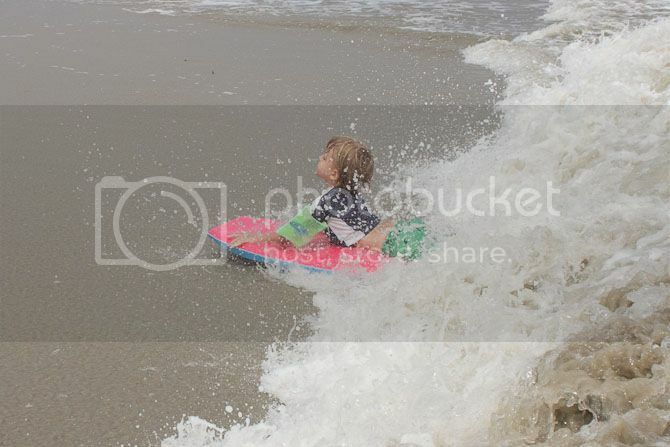 Boogie boarding. Sol would carry him out on the board and set him on a wave that pushed him in. HE LOVED IT. Everytime he stood up at the end and said THAT WAS AWESOME! It was adorable. Glad you're back. I wish I could hear Finley say that was awesome but I know what it sounds like. He's so cute. Yeah I might post like two other things this week! WOW! The truth is, he said THAT WAS AWESOME every time except the time I recorded--that time he said CAN I SEE THE VIDEO? My Mom boogie boarded two years ago. We also filmed it. It is FORBIDDEN to ever see the light of day. 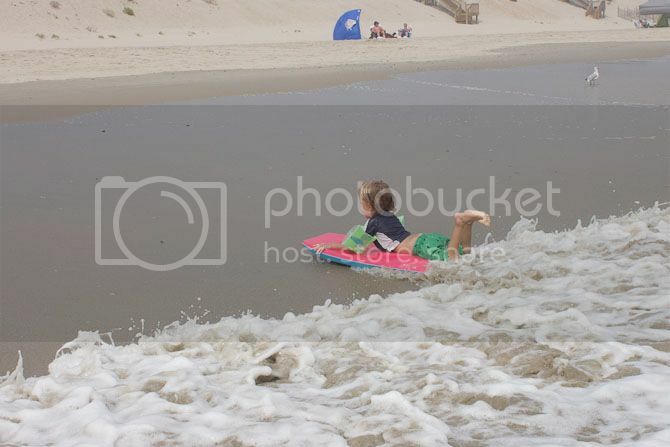 Looks like my childhood vacations - love boogie boarding! You are required to come next time.